This page has been set up as a record of and tribute to the many men and women who served in World War 2 and through good fortune returned home to their families, though often changed physically and mentally. Also, we will list below as far as possible those who served in various ways on the Home Front at Denbies or Ranmore Common. There is also a linked page for those who served in the Denbies Home Guard. It is hoped that more information can be added to this page as it is discovered. 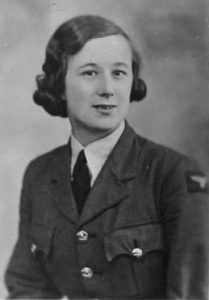 If you have information to add or correct, or photographs of these or other people who served in the Second World War and were associated with Denbies or Ranmore Common, please contact us. Below are the names of those that for various reasons we know or believe to have served in, and survived, World War 2. The Hon. Henry CUBITT, later 4th Baron Ashcombe, b. 1924, d. 2013. 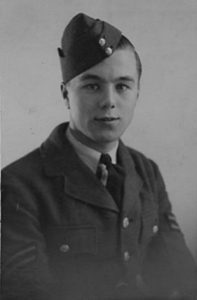 Served in RAF as Sergeant Pilot until forced to retire following a flying accident. The Hon. Archibald Edward CUBITT, brother of Roland, 3rd Lord Ashcombe, b. 1901, d. 1972. Major, Surrey and Sussex Yeomanry. 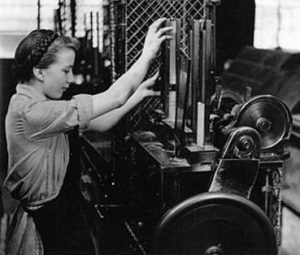 Home service throughout the War, for most of the time commanding prisoner-of-war camp or camps. The Hon. (Charles) Guy CUBITT, DSO, brother of Roland, 3rd Lord Ashcombe, b. 1903, d. 1979. Major, later Lt-Col. Commanded Surrey Battery, Surrey and Sussex Yeomanry, up to and including Dunkirk. Mentioned in despatches 1940. Commanded 98th Field Regiment, Royal Artillery after Dunkirk, through North Africa (Battle of El Alamein) and Sicily landings. DSO August 1943. Severely wounded Italy September 1943, invalided home and out of the Army. Hon. Colonel, Surrey Yeomanry 1951. Sir Hugh Guy CUBITT. son of (Charles) Guy CUBITT (above), b. 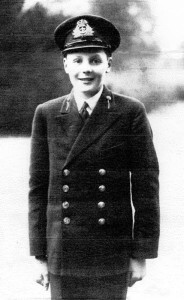 1928 Naval Cadet 1942-45. Lieutenant Royal Navy, later served Korea 1949-51. Flag Lieutenant to Admiral, BJSM Washington 1952, to C-in-C Nore 1953. Retired from Navy 1954. Isaac Henry LUFF (“Ike”). b 1914, d 1993. Son of Isaac Luff (senior), and Amelia nee Dennis. Isaac Senior was gardener at Denbies, Isaac Henry (junior) worked as a garage boy at Denbies, cleaning and polishing cars. Later second chauffeur, Joined Surrey Yeomanry. Part of British Expeditionary Force. Captured during retreat to Dunkirk, prisoner-of-war in Poland, part of prisoner marches across Europe. After demobiIisation in 1943, chauffeur/valet to Roland, 3rd Lord Ashcombe, then to Henry, 4th Lord Ashcombe. Sidesman at St Barnabas for many years. Married Annie (“Nancy”) Richardson, buried Ranmore (G16). Ike and Nancy’s son Robin still lives on Ranmore and was elected Churchwarden of St Barnabas in 2016 . Hugh MACKAY, born c.1908 Scotland. In tank corps at beginning of the war, captured in the desert and held prisoner for much of the war. Died at Lincoln (?or Lincoln Road, Dorking), 1979. Buried Ranmore churchyard (Q8). Alfred John ROYAL (always known as John), son of George Herbert Royal and Emily Louisa nee Hedger, b. 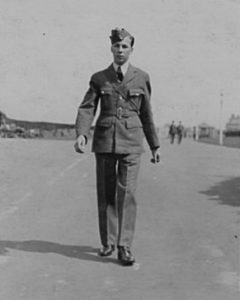 1922, farm worker Denbies Estate, joined the RAF before WW2 as a boy trainee, ultimately became Squadron Leader (reputedly not aircrew), buried Ranmore (Q19). Edward George ROYAL, son of George Herbert Royal and Emily Louisa nee Hedger, b. 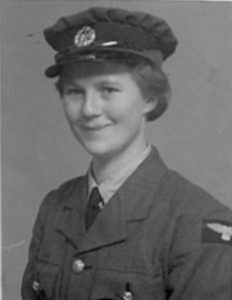 18th June 1920, farm worker Denbies Estate, joined the RAF before WW2 as a boy trainee, ultimately became Squadron Leader (reputedly not aircrew), worked on early radar, stayed on in RAF after war until retirement from service, m. Glenys Mary Putt, d. 19th August 2011, ashes buried Ranmore (Q34). Elsie Margaret ROYAL, daughter of George Herbert Royal and Emily Louisa nee Hedger, b. 1913. mechanic in the WAAF, ? Dec 1941 – ?1945, d. 2006, buried Ranmore (Q33). Laura Annie ROYAL, daughter of George Herbert Royal and Emily Louisa nee Hedger, b. 1916, served in the WAAF as a cook, 9.9.1941-2.12.1945, Service No. 2000591 from Discharge Book), d. 2009. buried Ranmore (Q32). Of course, people at home served in various ways, and there is a page dedicated to the Denbies Home Guard. Those known to have served in various ways on the Home Front are below, and no doubt others will come to light in the course of time. Irene (Rene) G. ROYAL, later MACKIE, daughter of George Herbert Royal and Emily Louisa nee Hedger. Born in 1924, Rene worked at Dorking Station for Southern Railways printing third-class railway tickets. This was regarded as essential war work. Being only 17, she had failed to persuade her father to allow her to join up like her older sisters Elsie and Laura Royal (see above).